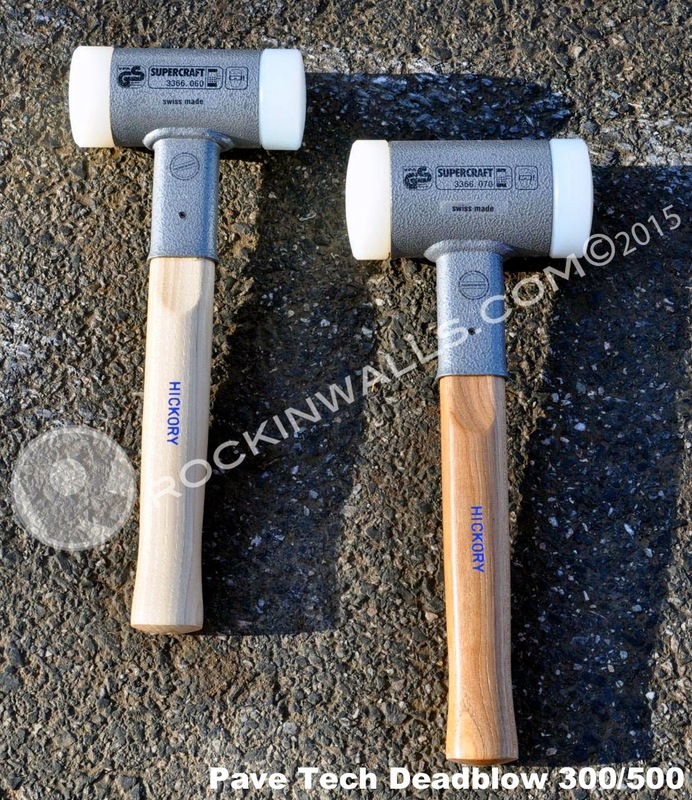 ROCKIN WALLS: Pave Tech® Hardscape Outfitters 2015 Rockin Walls Workshop Sponsor, "Try Before You Buy"
Pave Tech® Hardscape Outfitters 2015 Rockin Walls Workshop Sponsor, "Try Before You Buy"
For years building dry laid stone foundations I used a 7 pound paver hammer manufactured overseas. The only issue was when it was time to retire my old faithful mallet I could no longer find a replacement. 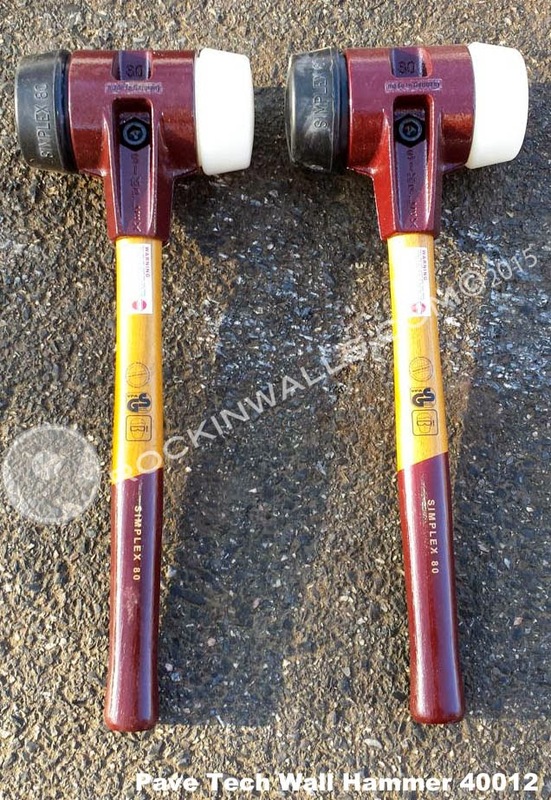 : ( I began my search for finding an amazing hammer with some serious weight to really penetrate a blow to natural stone set in earth for the foundation. 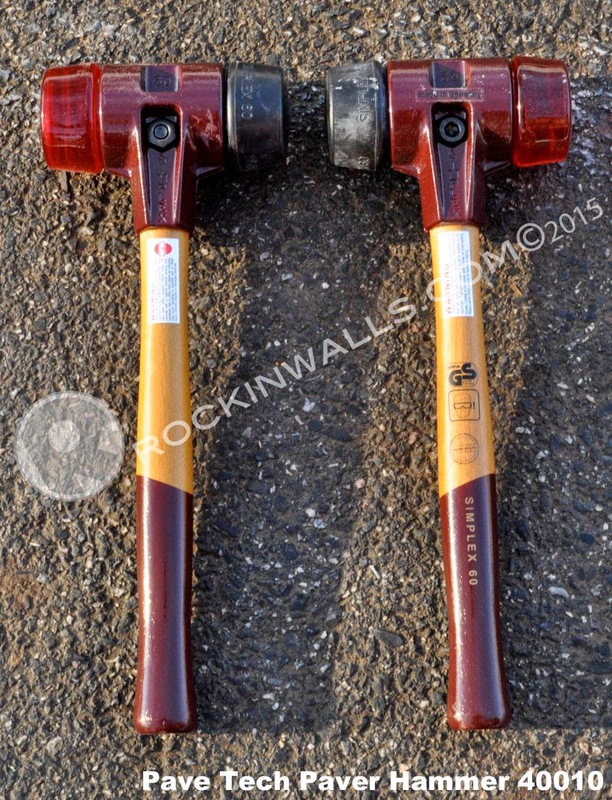 The best part in making the investment into one of Pave Tech hammers is that you can always replace the heads as seen below. Making for money well spent!! WIth the generous sponsorship to Rockin Walls Training Center you can "Try Before You Buy" at one of the many workshops. If you specialize in hardscapes, flat work like patios / walkways and dry laid stone construction. You need to take a hard look at the full line up of what Pave Tech has to offer you. Pave Tech. Pave Tech also offers year round hardscape training at their School for Advanced Segmental Paving see more @ Pave Tech - Paver School. 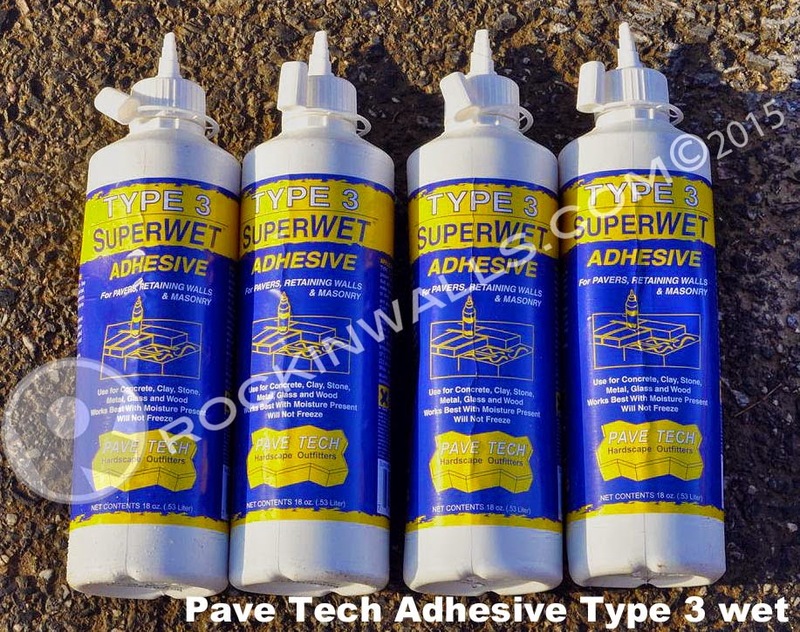 Pave Tech, the Hardscape Outfitters, is the Hardscape Industry leader for PAVE EDGE® Paver Edge Restraints, BRIGHTS® Architectural Hardscape Lighting, Tools & Equipment, JAWS® Diamond Tools, SANDLOCK® Organic Joint Sand Stabilizer, Adhesives and PAVE CHEM® Cleaners & Sealers. Save time and money by working with one supplier for all of your hardscaping tools and accessories. Pave Tech carries everything needed to install, enhance and maintain a beautiful Hardscape project. ~ This is a great adhesive for step veneering and freeze-thaw areas. ~ Application range: 35 degrees to 110 degrees F.
~ Cleanup with mineral spirits before dry. ~ 50 linear feet of bead per tube. This adhesive can be applied to wet or saturated material so it is perfect for late season application. Great for areas subjected to heavy loads like step treads and pool coping. Type III adhesive foams during curing and will fill up to 1/4 inch. Allow 24 hours curing time before traffic is allowed. 75 percent strength in 24 hours, 95 percent strength in 48 hours. Substrate should be dust and dirt free. If extremely dry, spraying with water on surfaces before application will help adhesive cure properly. 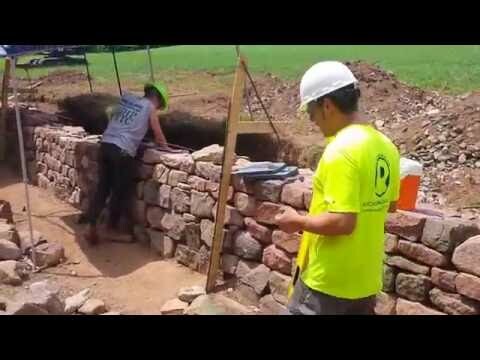 Many thanks to the Team at Pave Tech for the support of Rockin Walls Training Center. 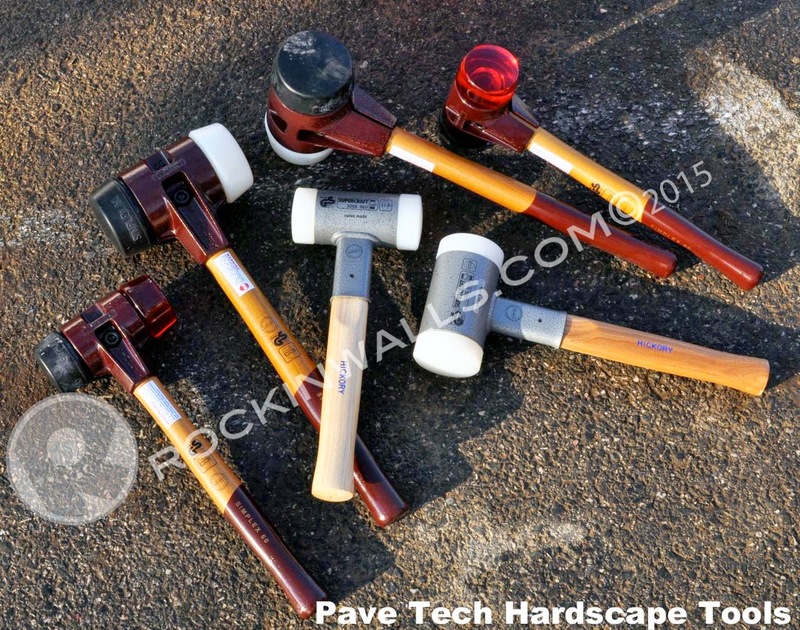 Please be sure to come out to a workshop to "Try Before You Buy" of the Paver Mallets. If you found this to be helpful please be sure to let them know Rockin Walls sent you!